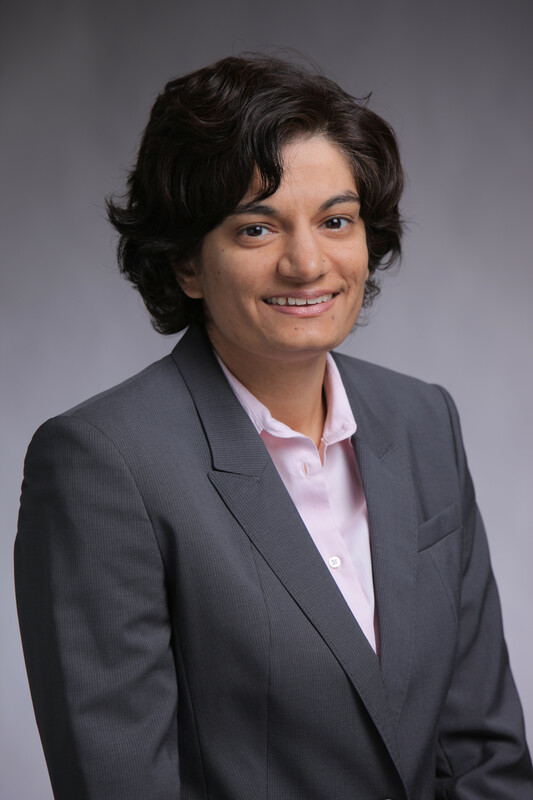 Dr. Uzma Samadani, whose research on concussion recently made headlines around the world, is joining the Department of Neurosurgery at Hennepin County Medical Center (HCMC), a nationally recognized Level I Adult and Pediatric Trauma Center that specializes in the treatment of traumatic brain injuries. She will serve as the Rockswold Kaplan Chair for Traumatic Brain Injury Research, and also be appointed an Associate Professor of Neurosurgery at the University of Minnesota. The research chair was endowed by philanthropists Elliot and Eloise Kaplan and neurosurgeon Dr. Gaylan Rockswold and his wife Mary to enable continuation of HCMC’s world-class brain injury program. Dr. Rockswold has spent 42 years at HCMC performing surgery and federally funded clinical and basic science research, most notably to develop the use of hyperbaric oxygen therapy for brain injury. Though recently retired from clinical neurosurgery, he will remain active with research, working with Dr. Samadani on testing therapeutics for brain injury. Earlier this year, Dr. Samadani published research that describes a method for assessing the severity of traumatic brain injury (TBI) by measuring eye movements. In a talk at the North American Brain Injury Society meeting this May she showed data demonstrating that this technology is sensitive for detecting concussion. Her research has been featured in the Washington Post, Forbes, Sports Illustrated, on the national CBS evening news, and as a TedMed talk. She has had more than 1.5 million dollars in research funding from the Department of Veterans Affairs, National Space and Biomedical Research Institute and the Steven and Alexandra Cohen Foundation as well as other sources. “Her remarkable work in this specialized area of neurotrauma and neuro-ophthalmology will greatly enhance our comprehensive therapies for brain-injured patients at HCMC,” explains Dr. Thomas Bergman, HCMC’s Chief of Neurosurgery. After obtaining her PhD and graduating from medical school at the University of Illinois in Chicago, Dr. Samadani completed her residency training at the Hospital of the University of Pennsylvania and a Van Wagenen Fellowship in Goettingen, Germany. She currently is Chief Neurosurgeon at Manhattan Veterans Hospital and Assistant Professor of Neurosurgery at New York University as well as Assistant Professor in the Departments of Psychiatry, Physiology, and Neurosciences at New York University School of Medicine. She co-directs the Steven and Alexandra Cohen Center for Veteran Traumatic Brain Injury and Post Traumatic Stress at NYU Langone Medical Center. Dr. Samadani has won numerous awards and has over 40 peer-reviewed scientific publications for her work in neurosurgery. She serves on the Executive Board of the American Association of Neurological Surgeons/Congress of Neurological Surgeons Joint Committee on Trauma and Critical Care and as Scientific Program Chair for their section at the National Neurotrauma Society Meeting. She also serves as a reviewer for multiple neurosurgery and neurotrauma journals and as a contributor to the American Board of Neurological Surgeons examination committee. She has served as a mentor to undergraduates, medical students and neurosurgery residents who have won 12 competitive research grants and awards from national and international organizations. She joins HCMC with extensive experience in her work caring for patients with brain injury at New York Harbor Health Care System/Manhattan Veterans Administration Hospital, and Bellevue Hospital in New York. “On behalf of everyone at HCMC – and especially our patients – we are delighted to have Dr. Samadani join us so that we can continue our work as leaders in traumatic brain injury and critical care,” said Dr. Bergman. Each year, more than 1.5 million Americans sustain a TBI. Among children and young adults, TBI is the leading cause of death and disability. Nearly 100,000 brain injuries occur annually in Minnesota. As a Level I Trauma Center, Hennepin County Medical Center admits and treats the most traumatic brain injuries in the state. For more information, go to hcmc.org. This entry was posted in HCMC News and tagged brain injury, concussion, eye movements, Manhattan Veterans Hospital, neuroscience, neurosurgeon, New York University, Rockswold Kaplan, tbi, TedMed, traumatic brain injury, uzma samadani. Bookmark the permalink.